Authentix has acquired UK company Security Print Solutions (SPS) in a move that expands its presence in tax stamps and adds to its security technology offering. 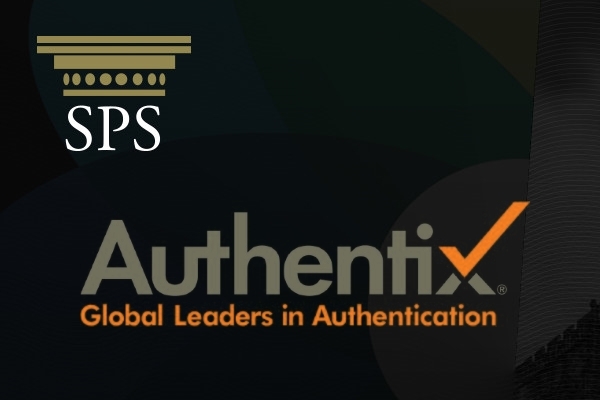 Texas, US-based Authentix is making the acquisition through its UK-based subsidiary and says SPS will continue to operate as a stand-alone entity for the time being “with a plan to integrate within the Authentix group of companies.” The value of the deal isn’t being disclosed. SPS was set up in the early 1980s by ex-De La Rue executive Jim Crowther to focus on the high-end security printing market, specifically providing layered security designs that can be used to defeat counterfeiting. The Durham-based company focuses specifically on identity documents, secure cheques, and specialist documents such as education certificates that run the risk of fraud, operating both as a design house and technology provider. To date, most of SPS’ business is focused on revenue protection for governments, for example in the provision of tax stamps where it produces upwards of six billion per year. The company has been trying to build its presence in brand protection and other areas such as track-and-trace, and joining with Authentix bolsters that side of the business at a stroke. The merger pairs SPS’ high security printing expertise with the US company’s chemical markers and readers – including taggants and optical markers that can be integrated into ink, varnish or print substrates – backed by cloud-based authentication and system software. Authentix has a strong presence in the fuel taggant market, and also serves the pharma, beverage, agrochemical and currency/tax stamp sectors. That ties in with the recognition that an effective brand protection strategy needs both physical and digital elements working in tandem to be effective. SPS portfolio includes watermarked security paper, microtext, numismatic fugitive designs, heat-reactive features, micro-numismatic invisible inks and various hologram technologies, including fluorescent types. “This strategic acquisition expands our portfolio of security technologies to grow our support in tax recovery programs for governments as well as increasing the scope of offerings for our brand protection clients,” said Authentix’ chief executive Kevin McKenna in a statement. “A key element of our growth plan includes integration of a high security printing operation into our organization and we can’t think of a higher quality candidate than SPS,” he added.